August 5, 2014 By HHSA / Posted in 2014. August 4, 2014 By HHSA / Posted in 2014. We would like to introduce our 2015 classifier, Hartmut Wilking. Hartmut Wilking is very well qualified to be our tour classifier. He is a member of the executive board of the Hannoveraner Verband as well as being a successful breeder, having bred horses like Mr. Whoopie, a successful horse in international events with the New Zealand rider Duncan Macfarlane and the American lady rider Saer Coulter. 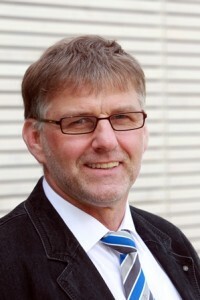 Hartmut Wilking is also a member of the studbook registration and show commission of the Hannoveraner Verband. His career as a judge and classifier has taken him on tours through Europe, the United States and Canada on behalf of the Hannoveraner Verband. During the 2015 Australian tour he will be assessing foals, mares as well as a number of stallions. July 1, 2014 By HHSA / Posted in 2014. April 28, 2014 By HHSA / Posted in 2014. April 7, 2014 By HHSA / Posted in 2014. March 18, 2014 By HHSA / Posted in 2014. March 15, 2014 By HHSA / Posted in 2014. March 13, 2014 By HHSA / Posted in 2014.